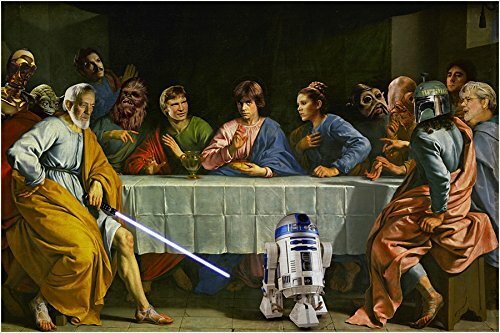 A long-long time ago, in a galaxy very similar to our own, there lived a man, a man named George, who one day decided to write a story about another man, a younger man named Luke. Essentially Luke's story was a very simple story to tell, as it recounted a great space odyssey that involved a farm boy who redeemed his father whilst saving the universe. When George first devised the concept behind this story, aptly entitled Star Wars, he had in mind to base it on two very diverse sets of sources. The first of which was a televised serialization initially produced in the late 30s, named the Flash Gordon television series, which recounted the daring adventures of a space man who tried his utmost to save the princess and beat up the bad guy's. The second source, however, was a much more conceptually designed source, simply because George, being the analytical man that he is, wanted to base his heroes, his villains, and his mythology, on archetypes seen throughout the ages. Now the first character on his list would gradually evolve into the sandy-haired nerf herder, Luke Skywalker, his principle hero, who had to be someone everyone could relate to, otherwise people wouldn't be able to associate with the story George wanted to tell. So what he did was to go to the local library and look through numerous books based on the adventures of children. Eventually he came across one book he could associate with, Huckleberry Finn, and made the decision that Luke, like Huck, would be a farm-boy, out and about seeking the spirit of adventure. George's chosen damsel in distress, on the other hand, Princess Leia, was a much more modern character in retrospect. Despite being labelled a princess, a royal title primarily used in regal circles, she was basically a typical woman, a typical seventies woman, who was astute enough to be able to balance a work life with a social life, similar to someone like Lois Lane from the Superman comic books, or Dorothy Kilgallen, the noted journalist. In stark contrast to both Luke and Leia, Darth Vader, George's main protagonist, was his version of the archangel Gabriel, the fallen one, who could only be redeemed by the love of his children after a great fall into the abyss. To George, the theme of redemption was a very common theme told throughout history, as it showed that a story-line, any story-line, had the capacity to be multi-faceted, and could be seen from many points of view. There were also other characters he added to the Star Wars roster, characters like Han Solo, the maverick wise-cracking rogue who's archetype was made popular by such Golden age actors as Errol Flynn and Clark Gable. 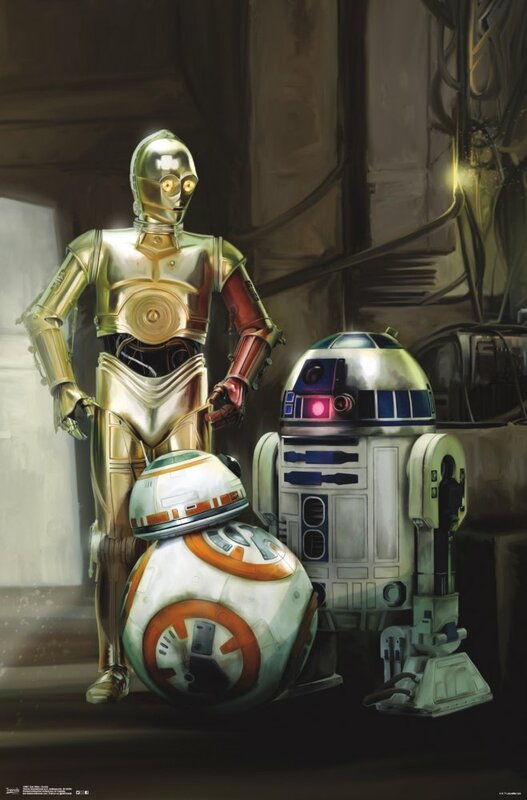 C3PO, R2D2, and Chewbacca were also based on filmic archetypes, although in their case they were based on Japanese and European folklore, those people who flittered around the periphery of a story, sometimes introducing it, other times commenting on what's going on. Another factor added to the mix was obviously the story-line itself. The first three films George created (episodes four to six) basically chronicled the fall of a malevolent empire, juxtaposed with the redemption of a darkly hued villain. 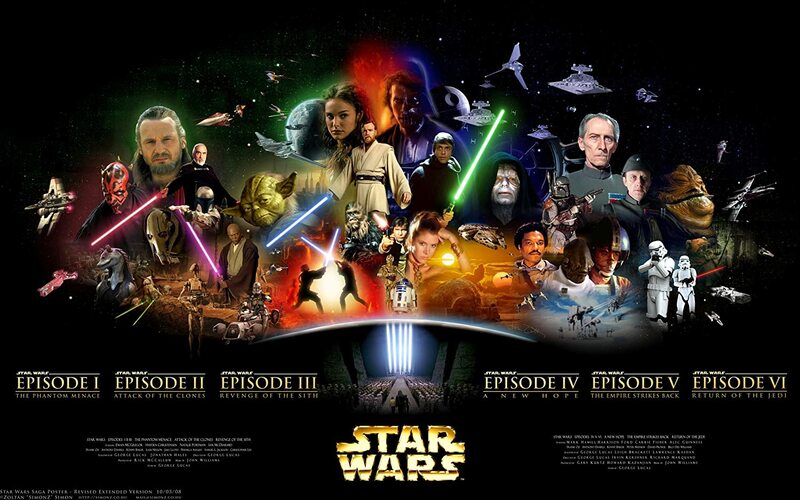 Where as the second three he created (episodes one to three), which acted as a prequel to the first three, told the tale of how the main villain in the first three films evolved into the man he would later become, offsetting this with the rise of a malevolent empire which would ultimately fall. Up and Down / Black and White / Good and Evil: These are the themes George likes to hang onto every time he tells a Star Wars Story. 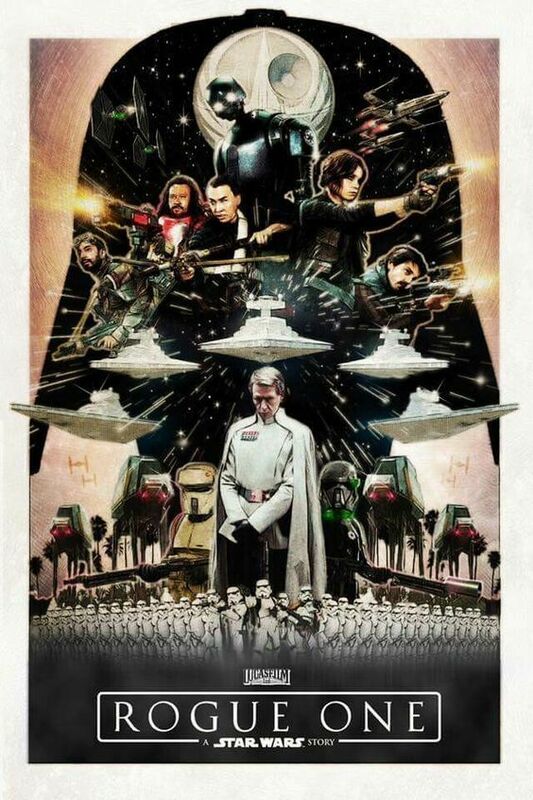 Which, funnily enough, brings us quite nicely onto what's been happening recently with Disney's Star Wars offerings. 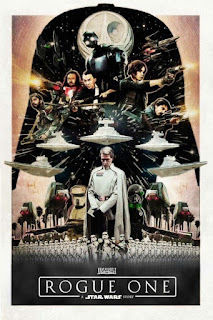 At the moment they've released Episode Seven: The Force Awakens, and are on the cusp of releasing the first of their spin-off movies, Rogue One. Personally speaking, I don't mind what I've seen so far. On the whole the new characters seem like a nice diverse bunch, plus the story itself, despite feeling a bit too forced in places, flows pretty well, and is intriguing enough for me to want to watch more. But what next I wonder? What is going to happen to the original cast members as well as this new lot? I'm sure some of them will die, which we've seen an example of already, and I'm sure some will live on and do great things! Yet what are those things, and will they be true to George's original vision? At this stage, maybe this point is pretty moot. George sold Star Wars to Disney so they can do whatever the hell they want with it. But that said, given Disney's track record with their other film franchises, like the Marvel film franchise, and I'm sure we're all going to see more of these films, spin off or otherwise, which may not be true to form, yet may be good enough to keep the mythology alive. 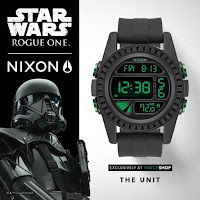 If you're a fan of Star Wars, you might like to know that the global watch manufacturer, Nixon, has introduced their “Rogue One” collection, which features four limited edition watches inspired by the film. These thoughtfully designed capsules combine Nixon’s signature silhouettes with elements inspired by the Rebel Alliance, the Imperial Troopers, and the Death Star. Please check out the watchshop.com for the full range of these Rogue One Nixon watches.